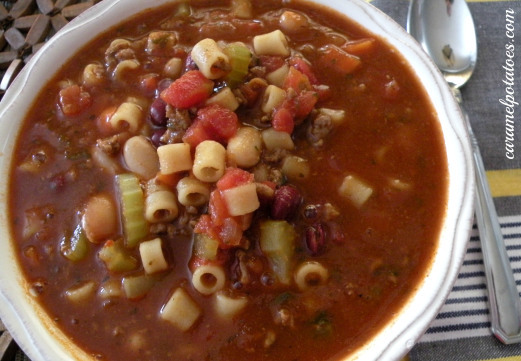 Are you ready for a hot bowl of soup on a cold winter night? 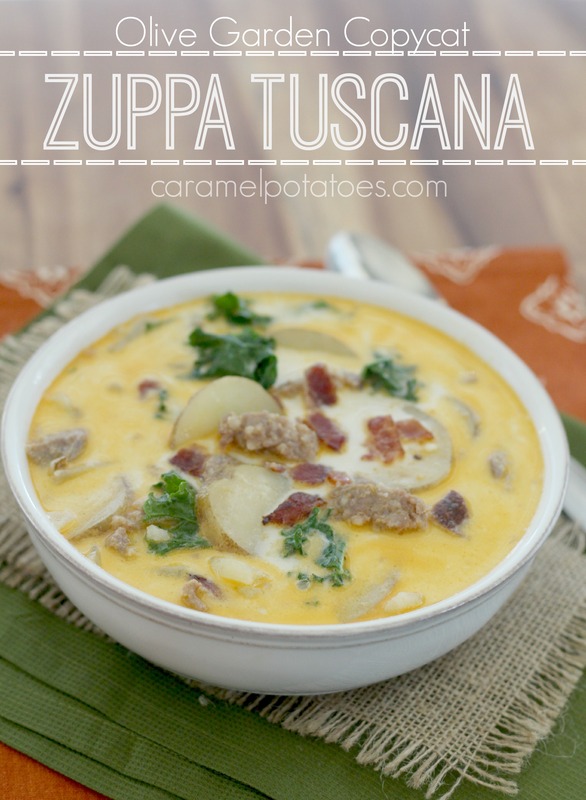 This rich and hearty Olive Garden Copycat Zuppa Toscana is amazing, and just as good as it is at the restaurant. 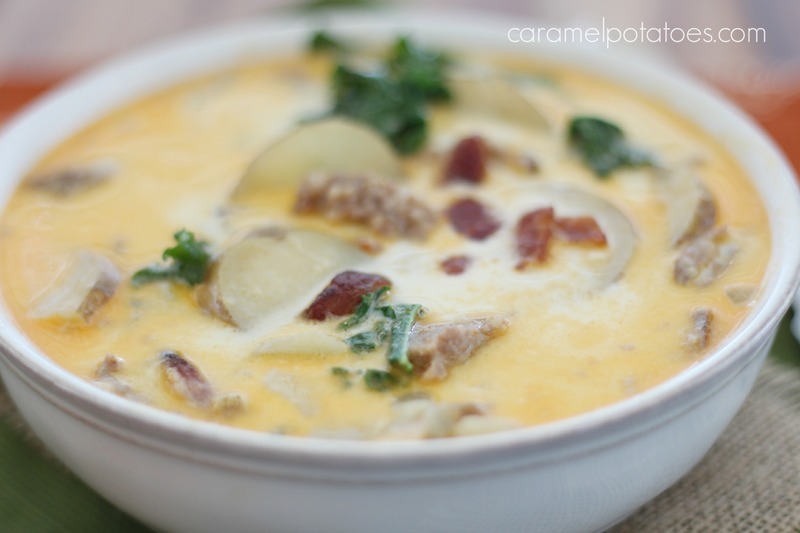 It’s loaded with sausage, bacon, and potatoes in a creamy soup blend. Need I say more? Grab a bowl, fill it up and savor the moment! In a large skillet, over medium high heat, cook bacon until crispy. Transfer to a paper towel-lined plate and set aside. Add the sausage to the skillet, crumble and cook the sausage until browned, Add onions and garlic to the sausage the last 2-3 minutes. Drain excess fat. 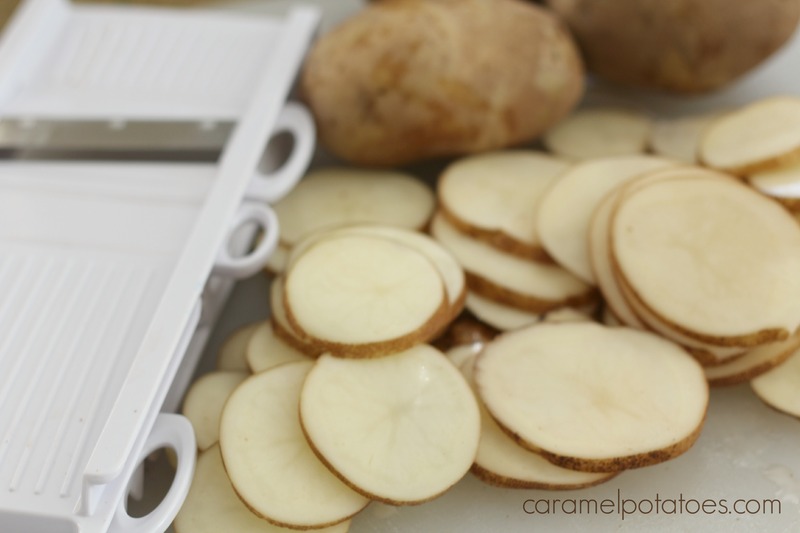 *Note: I used my Mandoline for quick, easy and uniform slicing. This looks so inviting. I never had kale before, does it taste like spinach? Kale has a little stronger flavor than spinach, but if you let it wilt I think you will like it. You could sub the spinach if you wanted.